«Al Centre Pompidou una grande retrospettiva dedicata a Frank Gehry». 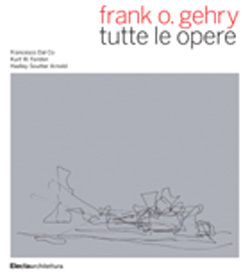 dal com.stampa: «Following an earlier presentation of Frank Gehry’s work at the Centre Pompidou in 1992, this retrospective offers a global survey of his work. It describes the development of his formal and architectural language through the different periods into which his career may be divided, from the 1960s to the present. This is done through some 60 major projects, among them the Vitra Design Museum in Germany (1989), the Guggenheim Museum Bilbao (1997), the Walt Disney Concert Hall (2003) and the Beekman Tower in New York (2011). No other exhibition has ever assembled so many projects – with 220 drawings, 80 models and supporting documentation – to offer a reading of this highly distinctive architectural language. Elaborated in close co-operation with Frank Gehry Partners, the design of the exhibition is organised around two key themes: urbanism and the development of new systems of digital design and fabrication. The exhibition opens at a time when Frank Gehry has been very active in France. After building the American Center in Paris in the 1990s, he has returned in force with two major projects: a start was made on the Fondation Luma at Arles only a few months ago, while the end of October will see the opening of his most recent building, the masterly Fondation Louis Vuitton in Paris».